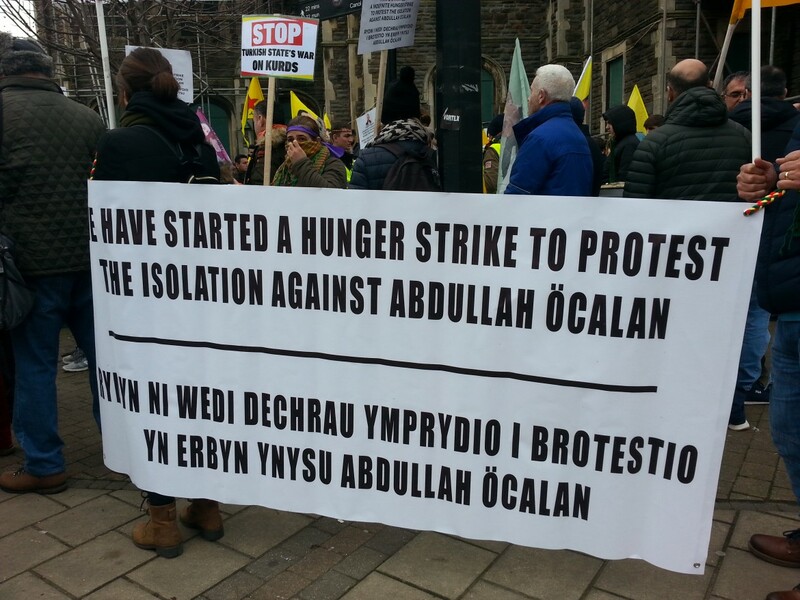 Cymru/Wales branch of Industrial Workers of the World expresses solidarity with Imam Sis, and all the comrades engaging in a hunger strike alongside Kurdish HPD MP Leyla Güven, to end the isolationist imprisonment of Abdullah Öcalan. Solitary confinement is commonly regarded as a form of torture, one that Öcalan has had to endure since his arrest in 1999. He has not been allowed visits from his lawyers since 2011. Likely due to the pressure created by the hunger strikers, Abdullah Öcalan was granted a visit from his brother Mehmet on Sunday 13th January – the first time he has been allowed to communicate with a family member in three years. However, despite a ten-minute visit, Öcalan remains in isolation, and the hunger strikers are set to continue their struggle. 1 – The Committee for the Prevention of Torture (CPT) must be allowed to visit Imrali Prison and monitor the conditions of imprisonment of Abdullah Öcalan. 2 – The European Court of Human Rights (ECHR) must take action against the Turkish Government for the violation of Öcalan’s human rights. 3 – The Welsh Government must call on the CPT and ECHR to take action. 4 – The Welsh Government must stand against any military operation carried out or planned by the Turkish State upon the Democratic Federation of Northern Syria, one of the most genuinely democratic regions not only in the Middle-East, but in the world. Abdullah Öcalan is a revolutionary political theorist who has been fighting and campaigning for Kurdish liberation for over forty years. Since his imprisonment in 1999 he has developed a revolutionary strategy for the liberation of Kurdistan outside of the traditional nation-State paradigm, through the theory of Democratic Confederalism. This is a theory of direct-democracy, involving the establishment of new political structures and institutions to ensure that power comes from below; from local councils and syndicates to wider federal bodies. These structures are designed to operate alongside shared values of women’s liberation, environmental health and sustainability, as well as political and structural support for ethnic and religious minorities. After the battle for Kobane in 2014, in which the People’s Protection Units (YPG/YPJ) managed to fight off Daesh/ISIS, cities, towns, and villages in northern Syria have adopted Democratic Confederalism, and formed a political body called the Democratic Federation of Northern Syria, which aims to seek gradual autonomy from the Syrian State, and to empower the poor and working-class people through new democratic structures and institutions. The ending of the isolation of Abdullah Öcalan is necessary not only for a resolution to the ‘Kurdish Question,’ for peace in the Middle-East, but for the whole world. For solutions to large challenges that we will all face this century, Abdullah Öcalan’s safety and ideas are of critical importance.